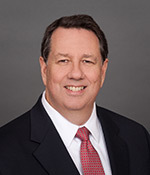 Kevin McPhaill has been a director of the Bank and of Sierra Bancorp since January 1, 2015 and was appointed President and Chief Executive Officer of the Company and the Bank effective April 1, 2015. Mr. McPhaill is a native and current resident of Visalia, California, and his educational background includes a bachelor’s degree from Fresno Pacific University, a master’s degree in business administration from Fresno State, and the successful completion of post-graduate training at the Southwestern Graduate School of Banking at Southern Methodist University. He has been employed by Bank of the Sierra since June 2001, starting as the regional manager of the Hanford area, then progressing to Executive Vice President and Chief Banking Officer of the Company and the Bank in 2006, to President and Chief Operating Officer of the Company and the Bank in 2014, and to his current positions on April 1, 2015. Mr. McPhaill is involved in the local community, and is active in financial education outreach efforts to primary and secondary schools in the Bank’s market areas. Ken Taylor has been the Chief Financial Officer for Sierra Bancorp and its subsidiary, Bank of the Sierra, since 2001. He was previously employed as the Chief Financial Officer for Tokai Bank of California, a $2 billion dollar Los Angeles-based community bank that was acquired by Sanwa Bank California in 2001. 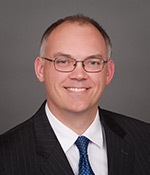 Ken has an undergraduate degree in business from Brigham Young University–Hawaii Campus and an MBA in Finance from Brigham Young University in Provo, Utah. He completed the BAI Graduate School of Bank Financial Management at Vanderbilt University in 2001. Jim Gardunio has served as Chief Credit Officer for Sierra Bancorp and Bank of the Sierra since February 2005. He received an undergraduate degree in Business Administration at San Jose State University and his MBA in Business Administration at Stanford University. Prior to Bank of the Sierra, Mr. Gardunio held the positions of Senior Credit Officer for 7 years, and Chief Credit Officer for 10 years in other financial institutions. Mike Olague is a highly accomplished executive who has worked for Bank of the Sierra since November 2009. 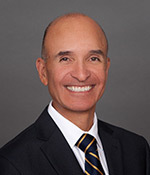 Prior to his promotion to the Company's Chief Banking Officer in January 2015 he was the senior vice president and manager of Bank of the Sierra’s Bakersfield/Delano area, and before that he served in senior management positions at various financial institutions in California. Mr. Olague is a graduate of California State University Bakersfield and completed Graduate Banking School at the University of Virginia. Morris Tharp is an original proponent of the Bank and has served as Chairman of the Board of the Bank and of Sierra Bancorp since their formations in 1977 and 2000, respectively. Mr. Tharp is a native of Porterville and following his schooling, joined his father in the family business of E.M. Tharp, Inc. Over the years, he has purchased the family business and is now sole owner. For many years he has been very involved in community activities. 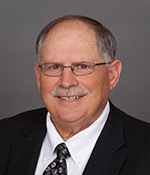 Al Berra has been a director of the Bank and of Sierra Bancorp since their formations in 1977 and 2000, respectively. 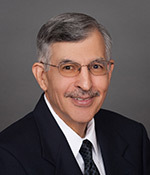 A native of Porterville, Dr. Berra attended the University of California, Berkeley after high school and went on to St. Louis University to complete his dental and orthodontic training. After service in the U.S. Army, Dr. Berra returned to Porterville to establish his orthodontic practice, which he operated continuously since his return until he retired and sold his practice in 2014. He also runs a farming operation in the area. Dr. Berra is involved in many community activities. Jim Holly is a founding Director and Vice Chairman of the Board of both the Bank and the Company. 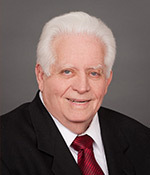 He served as President and Chief Executive Officer of both entities from their formations in 1977 and 2000, respectively, until January 1, 2014, when Mr. McPhaill was appointed President and Chief Operating Officer of both entities. 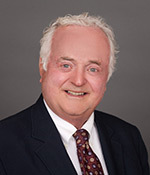 Mr. Holly continued to serve as Chief Executive Officer until he retired on March 31, 2015, and was appointed Vice Chairman of the Board effective April 1, 2015. He was born and raised in Racine, Wisconsin and received both a BBA and an MBA degree from the University of Wisconsin. Mr. Holly is also a graduate of the Southwestern Graduate School of Banking at Southern Methodist University and served as a Commissioned Officer in the U.S. Army. He began his banking career with United California Bank, now Wells Fargo Bank. 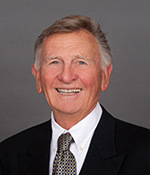 After 10 years as a branch manager, Mr. Holly left United California Bank and joined in the effort to organize Bank of the Sierra of which he served as President and Chief Executive Officer from its inception in 1977 until January 1, 2014, and served as Chief Executive Officer until his retirement in March 2015. Lynda Scearcy has been a director of the Bank and of Sierra Bancorp since December 2007. Ms. Scearcy received her undergraduate degree from the University of Florida and her Master’s Degree in Taxation from San Joaquin College of Law. Ms. Scearcy is a retired tax professional. She was previously the tax partner at McKinley Scearcy Associates, an accounting and consulting firm which she joined in 1983. McKinley Scearcy Associates sold to H&R Block in November 2014, and Ms. Scearcy retired from the firm in September 2017. 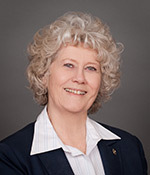 She is deeply committed to the community, as demonstrated by her involvement with, among others, the Rotary Club of Porterville (Past President), Porterville Chamber of Commerce (Past Treasurer), Tule River Economic Development Corporation (Past Treasurer) and Tulare County Office of Education Foundation (Board Member). 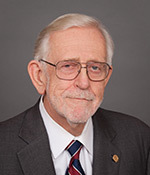 Gordon Woods was an original proponent of the Bank and has been a director of the Bank and of Sierra Bancorp since their formations in 1977 and 2000, respectively. He attended Arizona State University and the University of Arizona on scholarship, majoring in chemical engineering, and is a U.S. Army veteran. His professional experience includes employment as a chemical engineer, as well as executive positions with divisions of Gulf Oil Company and Ford Motor Company. In 1969 he moved to Porterville and established Hydrokleen Systems, a designer and manufacturer of water and waste treatment systems, and in 1989 he established Gordon T. Woods Construction, an engineering construction company building industrial and municipal water and waste water systems. He is currently CEO of both of those companies. 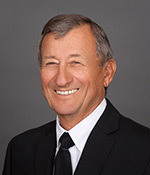 Mr. Woods has been active in numerous service organizations in Porterville and has also served on the Porterville City Council, including two years as Mayor and two years as Mayor Pro Tem. Vonn Christenson was appointed to the Boards of the Bank and the Company effective September 15, 2016. He graduated from Brigham Young University with honors in 2003, and earned his J.D. at Harvard Law School in 2006. 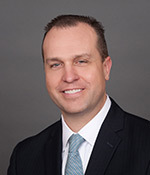 After working for a time as an attorney in Orange County, California, Mr. Christenson joined the Christenson Law Firm in Porterville, California, specializing in business and contract disputes, personal injury, medical malpractice, and intellectual property litigation. He currently resides in Porterville and is actively involved in the community including with the Porterville Optimist Club, the Porterville Chamber of Commerce Board of Directors, and the Porterville Unified School District Academy of Law, Justice & Ethics Advisory Board. Laurence S. Dutto, Ph.D., was appointed to the Boards of the Bank and the Company effective September 15, 2016. Dr. Dutto, a resident of Visalia, California, is a retired college administrator with extensive hands-on agricultural experience. His decorated 30-year career at College of the Sequoias in Visalia, California includes service as Provost of the Tulare College Center, Dean of Academic Services, Dean of Technical Education, Agriculture Division Chair, and Faculty Academic Senate President. His prior experience includes 15 years working on his family’s dairy farm. Robb Evans was appointed to the Boards of the Bank and the Company effective September 15, 2016. He is currently Chairman of Robb Evans & Associates LLC, which acts as a fiduciary or advisor in complex corporate and financial matters. Mr. Evans was formerly Chairman of the Board of Coast Bancorp and Coast National Bank, which were acquired by Sierra Bancorp in July 2016, and he helped facilitate the post-acquisition integration of Coast by maintaining board-level ties to our new market area. He also has extensive executive-level banking experience, including prior service as Chief Executive Officer at four different California banks, three international banking corporations chartered by the Federal Reserve, and a Hong Kong merchant bank. Mr. Evans has served as a California Special Deputy Commissioner of Financial Institutions and Special Deputy Superintendent of Banks. He maintains residences in both Bakersfield and Cambria, California.